With Andrew McGregor. Including Building a Library: Delius: Sea Drift; Recordings of music by Elena Langer, Galina Grigorjeva and Pauline Viardot; Disc of the Week. Building a Library: Daniel Grimley recommends a recording of Delius's Sea Drift, a setting for baritone, chorus and orchestra of words by Walt Whitman. In the poem, the speaker describes how, as a boy, he watched a pair of mocking-birds nesting, until one day the she-bird flew away and never returned. In this atmospheric work Delius marvellously conjures up the motion of the waves in the sound of the orchestra. 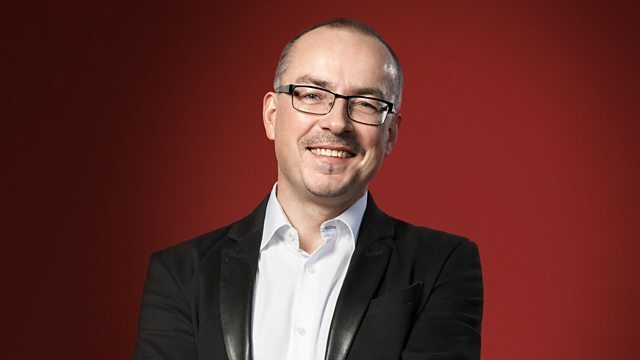 As part of Radio 3's focus on International Women's Day, Helen Wallace joins Andrew to discuss a batch of discs by women composers including works by Elena Langer, Galina Grigorjeva and Pauline Viardot. Andrew plays an outstanding new release as his Disc of the Week. Orchestra: l’arte del mondo. Conductor: Werner Ehrhardt. Deutsche Harmonia Mundi: DHM 88875056172. Performer: Josh Lee. Performer: Jeffrey Grossman. Singer: Jolle Greenleaf. Singer: Molly Quinn. Singer: Virginia Warnken. Performer: Federico Guglielmo. Ensemble: L' Arte Dell' Arco. Performer: Rachel Podger. Orchestra: Arte dei Suonatori. Daniel Grimley recommends a version of Delius’ ‘Sea Drift’.